Publisher cannot load the speller or dictionary. To install the Spell Checker and Hyphenation dictionary, run Publisher Setup again and choose Custom Installation. For information on running Setup, Press F1. My client was using Publisher 2016 as part of the Microsoft Office 365 E3 suite on a Windows 10 Pro computer. It turns out the fix was simple enough. This entry was posted in Troubleshooting and tagged Microsoft Office, Microsoft Publisher, Office 365, Quick Repair on July 18, 2017 by Merlin Halteman. When working on Microsoft Excel issues, I commonly come across an the issue of Microsoft Excel sheets opening to a blank grey screen. Typically, this occurs when you double-click an Excel in File Explorer, it “opens” but only to a blank grey screen. The most common time I see this error is when Office 2007 or Office 2010 was removed and Microsoft 2016 was installed. If the above statement is true, than more than likely this quick fix should work for you. Once the Office Quick Repair is complete, try opening an Excel document from File Explorer. It should open correctly now. My guess would be that it is a file association issue or something from the old Excel version that causes the issue. Let me know if that worked by sounding off in the comment section. This was posted by techspeeder. If this helped you, consider helping me, by using my Amazon Affiliate link to keep this blog active and to buy an occasional coffee. This entry was posted in Troubleshooting and tagged Excel, Microsoft Excel on July 14, 2017 by Merlin Halteman. I was troubleshooting a computer the other day that was having Outlook freezing issues. This is what would happen. When previewing an Excel attachment in Outlook (2016) the document would preview but as soon as you would scroll around on the attachment, Outlook would freeze. You couldn’t open, close, or minimize Outlook. However, if you went into Task Manager to kill the program, Outlook appeared to be working normally and didn’t mention “Not Responding”. After a bit more troubleshooting, I found when Outlook froze up, if I opened a File Explorer Window it would unfreeze Outlook and I could once again use. 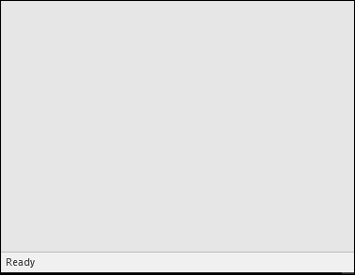 Another item I noticed was Outlook seemed to freeze when I used my mouse scroll wheel instead of the scroll bars on the previewed Excel document. I tried my hypothesis a couple times and sure enough, each time I scrolled the previewed Excel document with my mouse scroll wheel Outlook would freeze up. I installed the latest Office updates. I opened Outlook in Safe Mode. I made sure all Add-Ins were disabled. I disabled all Preview Handlers in Outlook and then re-enabled. This entry was posted in Troubleshooting and tagged Microsoft Outlook, Outlook, Outlook 2016, Windows 10 on July 13, 2017 by Merlin Halteman. It can be handy while troubleshooting to know how to setup Windows Firewall logging. Windows Firewall logging allows you to monitor any dropped or successful connections by the firewall. Open Windows Firewall with Advanced Security. 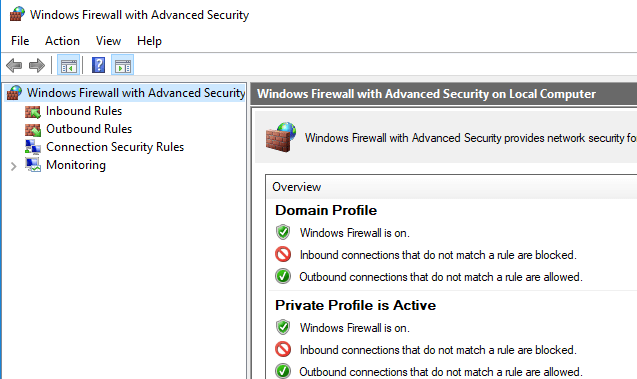 Right-Click on Windows Firewall with Advanced Security and go to Properties. This entry was posted in Tips and tagged Logging, Windows Firewall on July 10, 2017 by Merlin Halteman. With the Windows 10 Creator’s update, Microsoft added a “Open in Edge” button beside the “New Tab” button in Internet Explorer. The “Open in Edge” button can be frustrating and confusing to users. Here are the steps to disable the “Open in Edge” button. Open Internet Explorer and click the Gear icon in the top right hand corner of your browser. 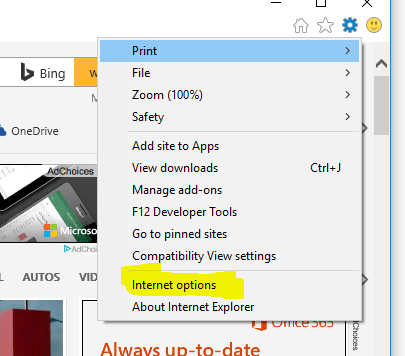 Then Go to Advanced and then check the box: Hide the button (next to the New Tab button) that opens Microsoft Edge. Save your Settings. Close Internet Explorer and reopen. Your “Open Edge” icon should be gone! This was posted by techspeeder. Please let a comment below if it helped! This entry was posted in Tips and tagged Creator's Update, Edge, Internet Explorer, Microsoft Edge, Windows 10 on July 7, 2017 by Merlin Halteman.